If you mention social media marketing automation, there can be some myths that hold steady. One example is the idea that using marketing software reduces your reach on platforms like Facebook. But the truth of it is this: social media platforms don’t really care how we share content, only that it meets their best practices. That’s why social media marketing automation is good – and here are some positive ways to do it. The internet is a haven for information but not all of that information is accurate. 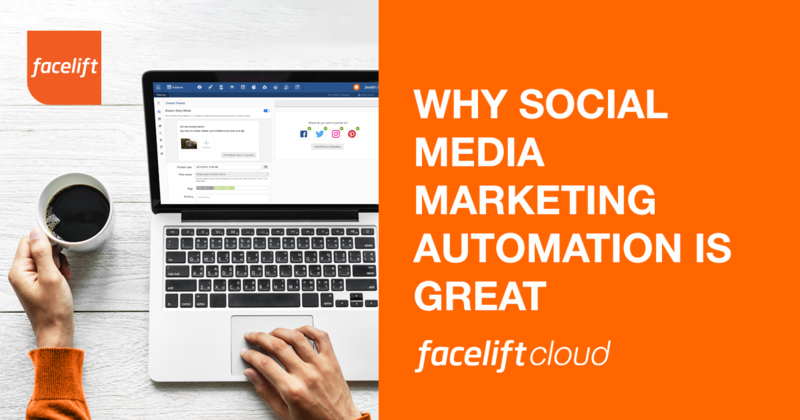 The case of social media automation tools is one of the classic examples – it is like that game we played as children when you whispered a secret to someone and they passed it to someone else. Ask the tenth person in a row what the original secret was, and their answer is likely very different from your original whisper! The key to successful social media automation is to get the right tools for the job. When you look at these tools, you will see a wide variety of services offered but there are some core elements you might want to consider. Top of the list is a solid suite of social media scheduling tools that let you post to the top networks such as Facebook, Twitter, Instagram and LinkedIn as well as Pinterest and Youtube. You want to be able to create a number of updates and schedule them out at set times so that you don’t have to actively take part in the process once the content is created. Another important element of any social media marketing automation is the ability to see what’s working and what isn’t. Good tools will include a dashboard with reports and benchmarking information to help you understand what’s working and also spot trends that you can incorporate into your strategy. Through the automation of tagging, a community manager can quickly identify the topics without reading the entire context. Especially, if you want to identify a potential crisis or hide profanity from the pages, this feature can save a lot of time. Content management can also help with recycling evergreen content and finding new ways to share older content. Media management to keep track of all of your images is also a useful feature to look for in the software you consider. A good automation tool also provides the ability to not only develop social media engagement though microsites, that can be created in-house at no extra cost, but also enables the brands to collect data about their audience which they can use to retarget customers and build look alike audiences at minimal extra advertising cost. Every platform has different preferences in length of the text, hashtags or not and more. The key to success with automation is customizing each update for the relevant platform to comply with these guidelines. Like customizing the message, you also want the right size image. For example, Instagram images are square, Pinterest is vertical, and Twitter is horizontal rectangles. But using graphics editing software to change the size of your images can make this a simple problem to solve. The third thing to remember is when the best posting times are for each platform. There are lots of guidelines out there but once you have been posting to your page or profile for a month or so, you can start to get your own analytics and customize this for your audience. There are still some jobs that you should leave on your list that you should do yourself and not try to automate. Top of the list is the actual content creation – you need something to share on social media! Whether you do this in-house or have a content writer create it for you, quality content is key to then create meaningful and interesting social media updates. You also need to leave time to interact with your audience. Replying to comments, thanking for shares and answering questions are all the personal touch that businesses need to incorporate to avoid seeming robotic or disinterested. The most successful businesses have a balance of automation and hands-on that is very time efficient while ensuring their audience feels the human behind the brand. Social media marketing automation also allows you to be consistent, to keep publishing on a set schedule and this is a huge plus, both for the algorithms on those platforms and for the people waiting to hear from your business. What are your biggest social media marketing challenges? Feel free to reach out to us or experience the Facelift Cloud live during a free 30-minute demo.